Places do not grow organically. Every place is socially, economically, and structurally produced and designed by people, and not without equal parts conflict, creativity, and community collaboration. We welcome you to a presentation, panel discussion, and Q & A between planners, designers, and scholars from across the US about innovative place-making practices and paradigms. This panel includes Robert Azar, the head planner for the Thayer Street redevelopment scheme and one of the architects of Park(ing) Day, Blaine Merker. 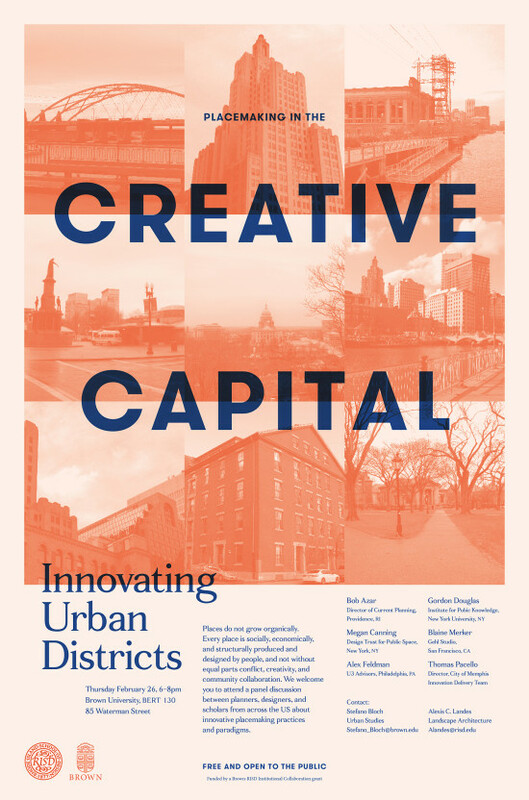 This is a Brown/RISD collaboration funded by an BRCIC grant and hosted by Stefano Bloch (Brown, Urban Studies and the Cogut Center for the Humanities) and Alexis C. Landes (RISD, Landscape Architecture).